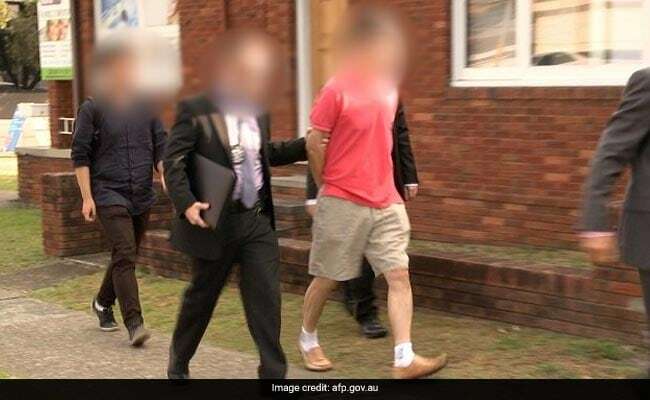 The 59-year-old naturalised Australian citizen of Korean descent, named in local media as Chan Han Choi, was attempting to broker illicit deals that could have generated "tens of millions of dollars" for North Korea, the Australian Federal Police (AFP) said. Sydney, Australia: A Sydney-based "loyal agent of North Korea" has been charged with trying to sell missile parts and technology on the black market to raise money for Pyongyang in breach of international sanctions, Australian police said Sunday. Choi was involved in discussions to set up a ballistic missile production facility and the supply of missile construction plans in addition to components, software and the transfer of technical expertise from Pyongyang, police alleged. AFP Assistant Commissioner Neil Gaughan told reporters the case was "like nothing we have ever seen on Australian soil", alleging that the man was in contact with high-ranking North Korean officials. "This man is a loyal agent of North Korea, believing he was acting to serve some higher patriotic purpose." The alleged agent's plans did not involve other governments or officials, police said. Authorities did not reveal which individuals or entities the man was allegedly trying to trade with. North Korea is under tough United Nations sanctions aimed at choking off revenue to Pyongyang's nuclear and missile programmes. "This is a very important arrest, the charges laid are of the greatest nature," Prime Minister Malcolm Turnbull told reporters in Sydney. "North Korea is a dangerous, reckless, criminal regime threatening the peace of the region. It supports itself by breaching UN sanctions. "It is vitally important that all nations ... enforce those sanctions because the more economic pressure that can be brought on North Korea, the sooner that regime will be brought to its senses." Choi, who has lived in Australia for three decades, allegedly used encrypted communication services to facilitate the attempted trades, which included the transfer of coal from North Korea to entities in Indonesia and Vietnam. Choi was refused bail on Sunday after being arrested in the Sydney suburb of Eastwood on Saturday. He faces a total of six charges, with maximum penalties of up to 10 years in jail. Police starting looking into his activities earlier this year after a tip-off from a "foreign law enforcement partner", Gaughan said without giving further details. Police would not rule out further charges, and were probing other attempted commodity trades involving oil and gemstones, as well as investigating Choi's activities as far back as 2008. This is the first time charges have been laid for breaches under Canberra's Weapons of Mass Destruction Act and for violating UN sanctions against North Korea in Australia. Global anxiety about North Korean leader Kim Jong-Un's authoritarian government has steadily risen this year, with Washington calling on other UN members to cut ties with Pyongyang in order to squeeze the secretive regime.